Watch and sing along to kid vlogger Yasya in this free vlog - available online now! Learn colors while singing to baby rhymes in this vlog for kids. 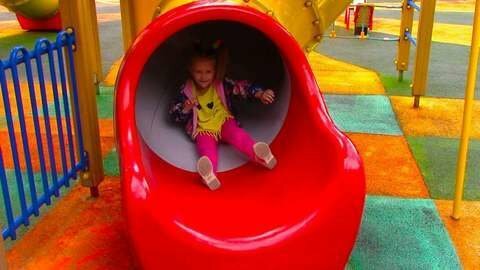 Yasya is climbing ropes and whooshing down slides in this fun vlog! Can you name the colors that you can see in the outdoor play area? Sing along to Skip to my Lou and other baby rhymes in this vlog for kids! Enjoy other quality vlogs at SeeZisKids.com!